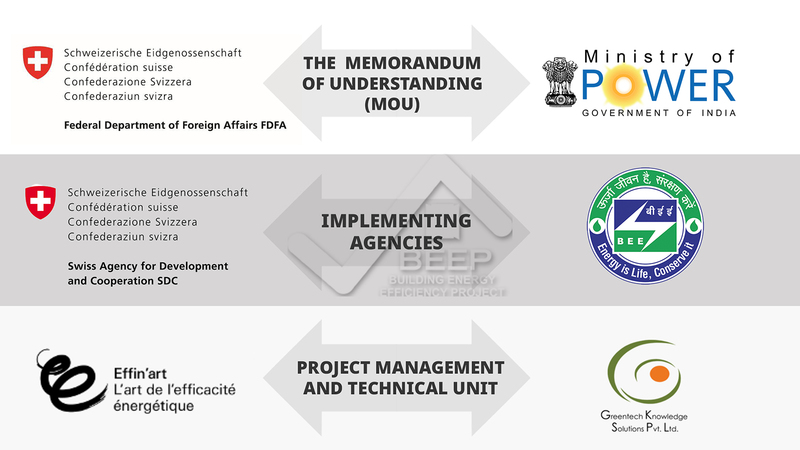 Building Energy Efficiency Project (BEEP) is a bilateral cooperation project between the Ministry of Power, Government of India, and the Federal Department of Foreign Affairs (FDFA) of the Swiss Confederation. 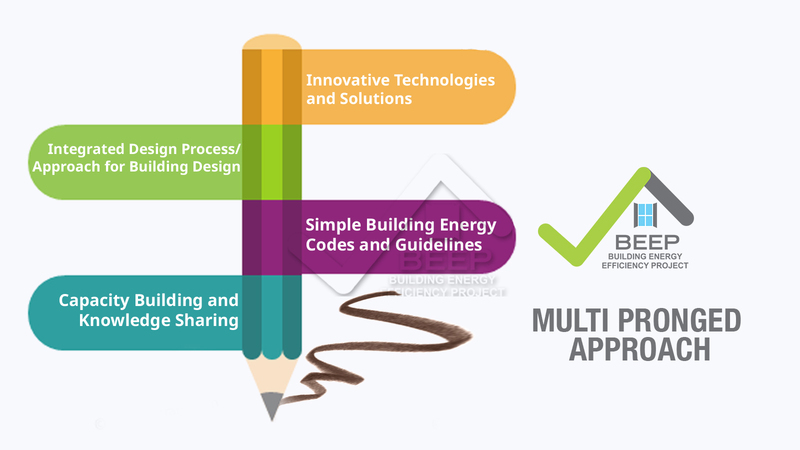 Started in 2011, the project’s central focus is to help India mainstream energy-efficient and thermally comfortable (EETC) building design for both commercial and residential buildings. BEEP works with building industry, policy makers, and building owners to catalyze adoption of EETC building design and technologies. The Bureau of Energy Efficiency (BEE) is the implementing agency on behalf of the Ministry of Power while the Swiss Agency for Development and Cooperation (SDC) oversees the project on behalf of FDFA. BEEP helps IEA organise a week long training event at Paris on "Energy Efficiency in Emerging Economies"
BEEP works with a range of stakeholders. We work directly with those who design, build buildings, who draft and implement policies and regulations. We also work along side national and international organizations and initiatives to localize global trends and innovations in the field of EETC buildings.